A one-goal loss to a long-time rival playing its best lacrosse of the season on a field in the rival’s backyard in the NCAA quarterfinals doesn’t look so bad on the face of things. It’s not Bryant at the Carrier Dome in the first round, after all. Dig a little deeper though, and the 16-15 loss to Johns Hopkins may be the most disappointing playoff loss in recent memory. This was supposed to be the year the Syracuse men’s lacrosse team ended a five-year title drought. 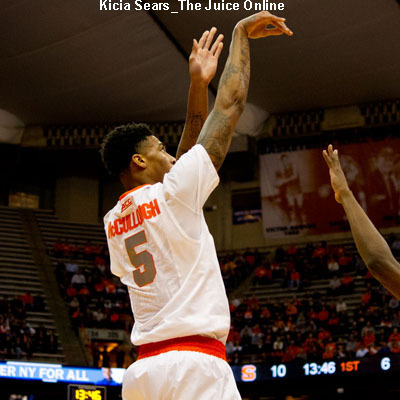 The Orange entered the tournament with a 12-2 record and the No. 2 seed. It was regarded by many—even those outside of the 315 area code—as the favorite to win the championship. It was clear this was the best-positioned Syracuse squad since 2009, when the Orange bested Cornell in overtime to capture its 12th national title. Each team since then has had at least one glaring weakness. The 2010 squad didn’t have a quarterback on attack (keep this in mind for 2016). The 2011 team couldn’t score. The 2012 squad needed a Big East championship run to make the NCAA tournament. Faceoff issues became evident in 2013, and last year, the team continued to struggle at the X and lacked outside shooters. The 2015 edition was supposed to have right mix of talent, tools, experience and motivation. It had one of the best offenses in the country and one of the best faceoff specialists too. It had one of the deepest midfields, a preseason All-America in junior Brandon Mullins anchoring the defense and an experienced goalie in senior Bobby Wardwell. It had several other seniors trying to avoid becoming the third straight class to graduate without a championship and an entire team eager to rid itself of a bitter first round loss to Bryant in 2014. Yet only a late rally—five goals in the game’s final four minutes—made the Johns Hopkins game tight. 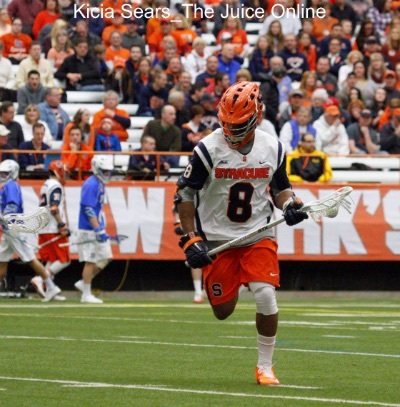 Hopkins, which Syracuse beat 13-10 at the Dome in March, was vastly improved, reeling off six wins in a row, including a 19-7 drubbing of Virginia in the first round of the tournament. And maybe this Syracuse team, particularly the defense and goalkeeping, wasn’t as good as we thought; Williams’ success at the X and the offensive firepower surely masked the weakness. Looking back, Syracuse yielded at least 12 goals five times; three of those games were losses. The defense was able to hold Hopkins’ Ryan Brown, the team’s single-season record holder with 60 goals, to two scores on 11 shots, but the rest of the Blue Jays shot 14-for-33. Syracuse couldn’t contain brothers Wells and Shack Stanwick, who combined for eight goals and four assists. The Blue Jays easily exploited Syracuse’s sloppy off-ball defense, slides and poor goalkeeper communication. Maybe the Orange just had an off day. 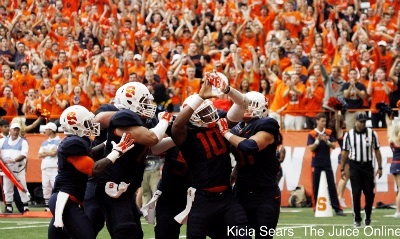 Syracuse committed 12 turnovers on the day, compared to Hopkins’ six. It certainly had a terrible third quarter, when the Blue Jays outshot Syracuse 13-5, scoring five goals to Syracuse’s one. Kevin Rice (3 goals, 4 assists), Dylan Donahue (3 g, 2 a), Nicky Galasso (3 g, 2 a), Randy Staats (3 g) and Williams (22-of-34 at the X) contributed heroic efforts, but the team needed more from its supporting cast. This latest disappointment is the harshest yet simply because the expectations were so high this year, and it won’t be easy for Coach John Desko and his staff to regroup. A huge senior class, including Rice, Staats and Galasso, has departed. Two starting attackmen and the entire first-line midfield are gone; that’s roughly 60 percent of the team’s scoring in 2015. Wardwell, defender Sean Young and long-stick middie Peter Macartney bade farewell too. Who will join Donahue on attack? Will anyone be able to fill Rice’s quarterback role on offense? Who will be tabbed for the first and second midfield lines? Will Jordan Evans, No. 22, begin to fulfill the high expectations? Will Desko be able to develop a high-quality defender or two to pair with All-America Mullins? Is Warren Hill the answer in the net? How long will the title drought continue? Right now, there are more questions than answers.